Broadway's Profit-Turning, Crowd-Pleasing Christmas Story With hordes of tourists descending on New York for the Christmas season, Broadway is looking to turn a profit — by staging limited-run holiday musicals like A Christmas Story and Elf. But with production costs so high, how can these shows make money back? The answer, it turns out, is complicated. Jordan Gelber plays Buddy the Elf in Elf on Broadway. The limited-run production may not turn a profit immediately, but producers have a multipronged strategy for making money. The Christmas season is when retailers make the bulk of their profits, Hollywood blockbusters rake it in, and Broadway theaters are filled to capacity. In recent seasons, Broadway has even staged special limited-run holiday musicals — among them, adaptations of A Christmas Story and Elf — to take advantage of the hordes of tourists in New York looking for entertainment. But with production costs so high, how can these shows make their money back? The answer, it turns out, is complicated. Gerald Goehring is lead producer of A Christmas Story, a new musical based on the popular movie, which itself is a version of Jean Shepherd's short stories about growing up in Indiana. This $9.5 million show is only playing for eight weeks on Broadway, and Goehring freely admits there's no way it'll make back its investment by the end of its run. 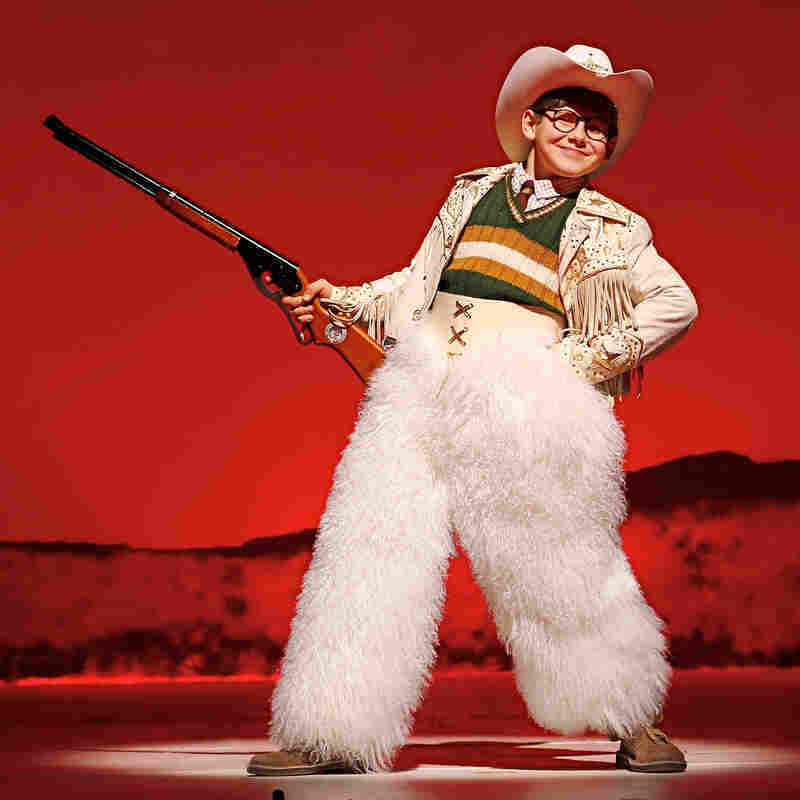 In A Christmas Story, Johnny Rabe plays Ralphie Parker, a boy who wants only one thing for Christmas: an official Red Ryder Carbine-Action 200-shot Range Model Air Rifle. "It's costing just as much to do this Broadway show as it does a Broadway show that can run for years and years and years," Goehring says. "A lot of investors are used to, 'Let's put money in a Broadway show and hope it's Book of Mormon! And we recoup fast, and we run forever!' And that's such a rarity in any model, any business, really." This means Goehring's investors take a different approach. "It is [an approach] of patience; it's one of long-term strategy," he says. "It's an annuity for us and our families for a few generations to come." A Christmas Story is playing at the Lunt-Fontanne Theatre through Dec. 30. Elf plays at the Al Hirschfeld Theatre through Jan. 6. The way it usually works on Broadway is this: If a show is successful, it then gets several touring productions and international companies. It eventually gets licensed, so it can get produced at professional theaters, community theaters and schools. For a smash hit, like, say, Cats, profits from all these income streams can be in the hundreds of millions of dollars. This new breed of holiday musical has both built-in advantages and built-in disadvantages. The advantage is they're based on well-known movie properties, so they all have name recognition; the disadvantage is it only makes sense to produce them for a couple of months around Christmastime. Even if a Broadway run may be something of a loss leader, it's an important way of branding a show, says Raymond Wu, of Warner Brothers Theatrical. 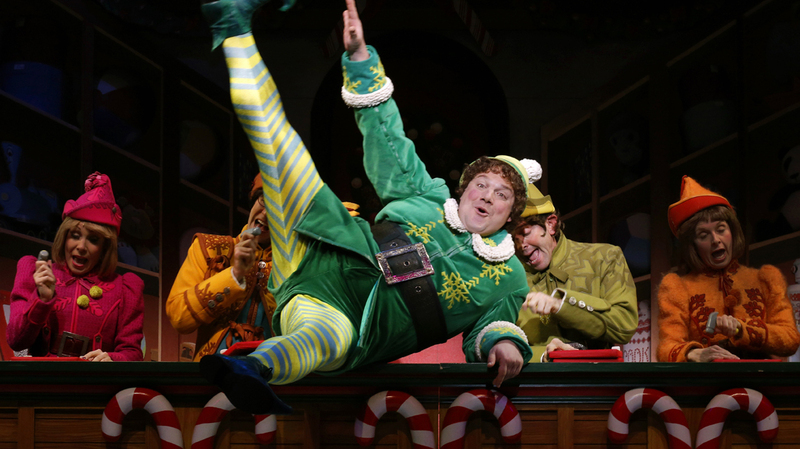 They're producing Elf, based on the Will Ferrell comedy, which is currently playing a nine-week Broadway run. "We figured with the Broadway branding, it helps with subsequent productions and licensing, tours," says Wu. "People will say, 'Oh, that was on Broadway and it's a great title, a great story, and it did well on Broadway, and we want to see that, too." Jeremy Gerard, a theater critic and reporter for Bloomberg News, says these shows really can make some of their costs back during a short Broadway run. "These are shows that appeal to a holiday audience, the tourist trade, families. And producers aren't stupid — they know that there's a lot of money to be made in this brief time, if you watch your numbers, if you keep your production costs down and your ticket costs high." And top ticket prices for Elf and A Christmas Story are in the vicinity of $160, with premium tickets as much as $350. But according to the producers of holiday shows, the real money to be made is beyond Broadway. Elf, which had a Broadway run a couple of years ago, is already getting new productions across the country, says Wu. "This year we have an eight-week, five-city tour of Elf out there that we partnered on," says Wu. "There's gonna be a production this holiday season in Seattle." Goehring has similar plans for A Christmas Story for next year — a first-class tour and licensed local productions at major regional theaters. But, like Wu, he's looking years ahead — he hopes the show can also go on tours where it plays single nights and short runs in smaller markets. And then there's licensing for amateur and stock productions. So A Christmas Story may be playing at a school or community theater near you, five or six years from now. "I think, honestly, the only way to make your money back, without taking 20 years, is a combination of all those models put together," Goehring says. But are these shows any good? Gerard has liked some and not much cared for others. In recent years, Broadway has also seen adaptations of Dr. Seuss' The Grinch Who Stole Christmas and Irving Berlin's White Christmas. Gerard says what they all share, and what may account for their appeal, is a slightly retro vibe — harking back to a less edgy time. "I think it's silly to go into these expecting something other than what they want to do, which is to be a crowd-pleaser," Gerard says. "The producers do have an imperative to put together something that's entertaining, but I don't expect going in to see Angels in America or Sweeney Todd. Who would want that at Christmastime?"